Amazon has listed the season five Blu-ray as all regions. Can anyone confirm if this is true? It is not fair. I received season 1 and 2 on blu ray format in the Netherlands but my player is not able to play. For the first time since their original TV broadcast, all 24 season one episodes are now presented complete and uncut, newly restored and remastered for optimal picture and sound quality! Plus, you'll discover where the LITTLE HOUSE ON THE PRAIRIE TV legend began - with the original, full-length pilot movie that introduced the Ingalls family to millions of viewers around the world. 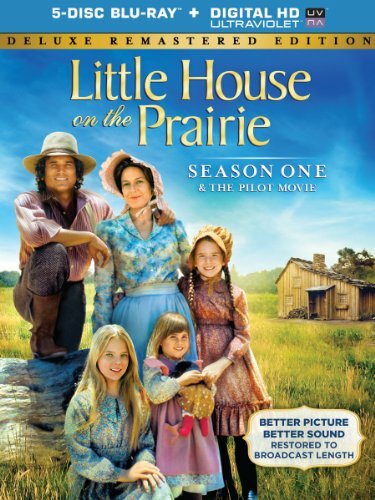 Relive all the heartwarming adventures from season one - from the arrival of Charles Ingalls and his family in Walnut Grove, through the building of a new home and friendships, to battling for their lives against a vicious blizzard - in this ultimate collectible for LITTLE HOUSE ON THE PRAIRIE fans!